She has one of the largest social media followings in the entire Sector; at last count, her SpaceFacePlace had 10 billion followers! For the record, the High Minister of the Church of Galactic Unity barely has 2,000,0000,0000—a fact that her beaming father has pointed out more than once. . . Her e-Net posts frequently include photographs of her with friends (well, at least with other people known mostly for having famous parents or grandparents—no one really knows how many real friends she has), and she is noted for her self-deprecating posts to make herself seem even more Hashtag-Relatable! to her many fans across the galaxy. She is infamously ditzy, but has a “bless her heart” sweetness to her. She often uses one-liners and a breathy, childish voice when she speaks. Much of her personality and, indeed, her highly marketable image is centered on her “party girl-heiress archetype” as well as her blonde hair and the Old Earth stereotypes associated with it, especially dumbness, naivete, and artificiality. Some critics have pointed out she’s merely perpetrating negative stereotypes, but it’s hard to say it hasn’t worked out well for her. . . Although her father kept her out of the tabloids as a younger girl, she really came into her own in college. She studied Social Media (with a concentration in Social & Media) and Urban Fashion at First Galactic University, and was a Super-Sister in the famous, hyper-exclusive Gamma-Alpha-Tau sorority. She released a dance-hyperpop single called “Life on a Star-Ship” that sold a reported 100,000,000 copies in the first week. However, rumor has it that she required heavy auto-tuning to not sound like “a lonesome, drunken manatee crying in the night,” and apparently many of the copies were just bought by her father’s countless employees. . . nonetheless, she is evaluating whether to take her music career to the next level as a professional. She also worked a summer as an Overpaid Intern at Universal Vogue and modeled for a recent fashion show. 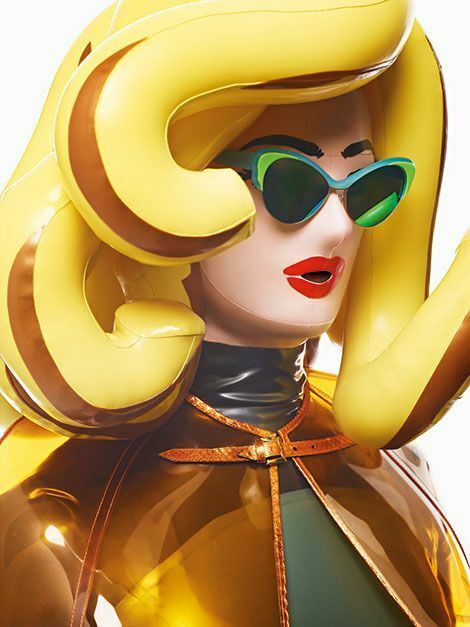 There, she developed her personal aesthetic through Couture latex outfits, over-sized sunglasses, and her famous “accessory dog” handbag. She’s also developed a reputation for hyper-focusing on one hobby or gimmick, then dropping it for something else entirely. Who knows what her next venture will be?